Today we’re delighted to welcome two new colleagues to the Raspberry Pi Foundation, and to launch a recruitment campaign to find even more outstanding people to join our growing team. First, meet the new arrivals! 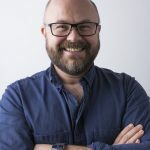 Oliver Quinlan is joining the Foundation as Research Manager. 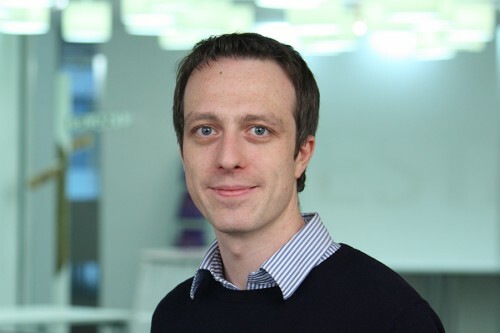 Oliver joins us from Nesta where he has been part of the Digital Education team for the past couple of years, leading research into digital making, and running a series of trials on the use of digital technologies in the classroom. Oliver was the author of Nesta’s Young Digital Makers report, which is well worth a read. Oliver is an ex-teacher, author, blogger, and speaker on the use of technology in education. you can find him online here: http://www.oliverquinlan.com/blog/. 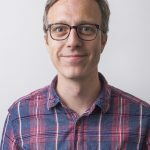 Oliver is going to lead the Foundation’s research work, which will include developing our understanding of what approaches work best to teaching people how to make things with computers. 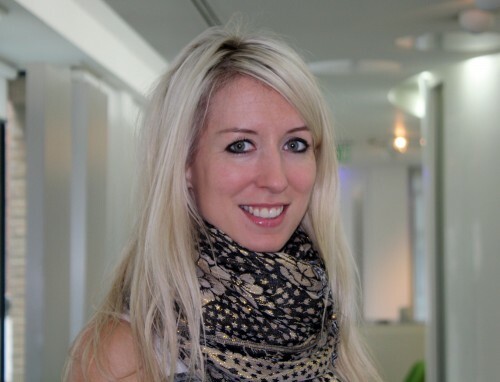 Helen Drury is joining us as Events and Outreach Manager. Some of you may have already met Helen, who has been working with us part-time over the past few months leading the events and outreach efforts on Astro Pi. Helen has also recently left Nesta, where she was in the Digital Education team and, amongst other things, led all of the events and outreach work as part of their digital makers fund. Helen is going to lead for the Foundation on our outreach and events programme, which is a central part of our strategy to engage many more people in digital making. Oliver and Helen join a growing team. Across the Raspberry Pi Foundation, Code Club, and Raspberry Pi Trading, we now have 60 brilliant people dedicated to our mission to put the power of digital making into the hands of people all over the world. It’s a fantastic mix of hardware and software engineers, developers, educators, makers, designers, and more. This is an exciting time to join Raspberry Pi. In the space of just three months at the end of last year, we merged with Code Club, put Raspberry Pi computers and code written by British school children on the International Space Station, and launched the world’s first $5 computer by giving it away for free on the cover of our magazine. All of this while continuing to generate free learning resources, training educators, and supporting our global community to help people learn how to make things with computers. Just imagine what we could do next, with your help. Welcome both. :) Look forward to meeting you. Thanks for the welcome everyone. It’s great to be joining a Foundation with a such a welcoming and smart community. I’m looking forward to working with everyone involved. Big congrats to the Foundation on the new recruits and the ever-growing team! Great resources, both human and teaching materiel. Fabulous news to start the year. I’ve heard so many great things about both Oliver and Helen that I know this will help secure future impact of Raspberry Pi. Do you guys do higher apprentaships or summer work experiance? Would be a dream for a pi nerd who lives very close to the pi headquaters! We do sometimes offer work experience (I think this summer’s slots are filled already) – if you mail nicola (at) raspberrypi.org a CV with a covering letter, we’ll put it on file. Thank you :-) will do! I’d apply, but it’d be a very long commute from the USA. I’m not moving to Cambridge, your “IT Support” job isn’t offering enough moolah. 1 Cost of actually getting up and running. Rip £30, rest of stuff (Display, KB, PSU, WiFi etc) £80-100. 2 First step in getting going – to install Raspbian, is absurd. For this you do need a display and KB at least. 3 Most have PCs. So the most obvious thing to do is to deliver a RPi with Raspbian already installed and VNC running. This is a little off-topic for this blog post! It’ll certainly cost more if you want a dedicated display for your Pi, but as you say, many people already have a PC with a monitor or a television that they can use. Likewise, many will have some of the necessary peripherals and cables lying around. If you did need to get yourself a new keyboard, mouse, power supply, SD card, HDMI cable and Ethernet cable to use with your Pi, you could get them all for about £22 (incl shipping) at the moment. That includes an official power supply and an SD card with NOOBS already installed from our Swag Store, allowing beginners and people in a hurry to get going quickly with Raspbian. If you absolutely had to get a new monitor for your Pi, a VGA LCD display and an HDMI-to-VGA adapter can be got for under £15. There are no problems here, just straw men. Here’s the reality: £26 Pi2; £5 keyboard/mouse; £2 SD card; £1 HDMI cable; £4 wifi dongle; phone charger from the kitchen drawer. Plug into your TV/monitor. Proper computer for around £38 quid. As for points 2-4, all of these things have been discussed (and debunked) in detail on the forum. This would be the best place to air your grievances, not a blog post about Raspberry Pi Foundation staff. After all, I an unemployed and I have been working for the Raspberry Pi a long time now: I did the dispmanx SDL 1.x driver that’s in use today in Raspbian, did the dispmanx driver that RetroArch uses (so if you use native dispmanx on RetroPie you’re using my code too), ported many games (ported as in coded-in native dispmanx/gles2 backends for them and fought the build systems to accomodate, ranging from Scummvm to Cannonball the free OutRun engine implementation) and a long, loooong list. Working on the “mother foundation” would be a dream for me. Come to our fourth birthday party!